Ulysses and Calypso: where did Ogygia, their love nest, disappear? 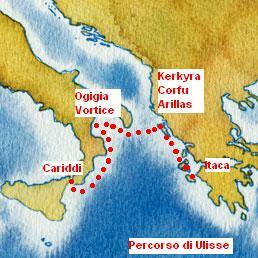 The Odyssee mentions sites that were known to Homer, enabling us to follow on a map the route taken by Ulysses after he escaped from the vortex of Charybdis (between Sicily and Calabria). 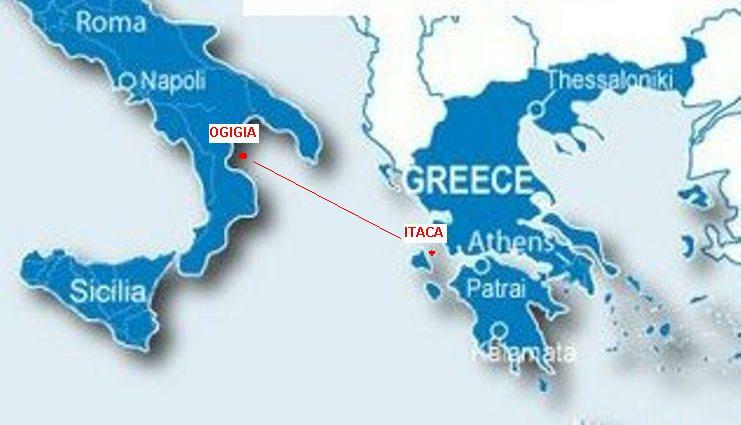 Before reaching the island of the Feacians (Kerkyra, Corfu), where the shipwrecked Ulysses touched land and fell asleep on the beach, and finally his beloved Ithaca, this voyage is interrupted in the mysterious island of Ogygia, where the Greek hero spent seven years with the charming nymph, Calypso. 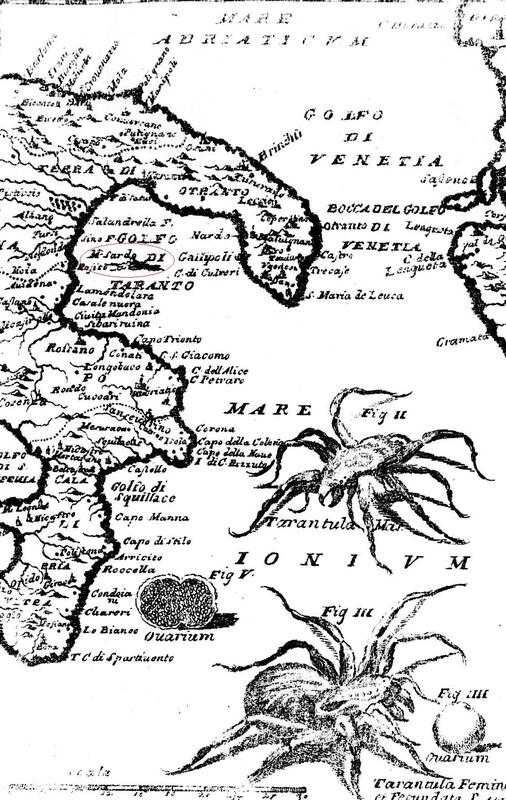 This island must therefore have been situated somewhere in the middle of the Gulf of Taranto. 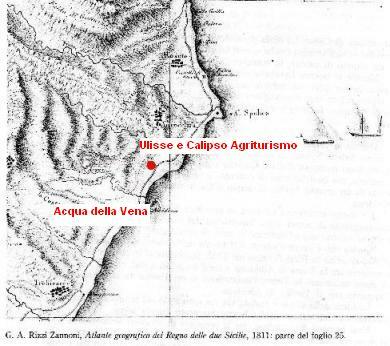 Here we find two more mythical sites: another vortex, off the coast dominated by Mount Pollino, between the Greek town of Amendolara and the even more ancient village of Trebisacce; and the rivermouth of the Vena (today's Avena), linked to the legend of another nymph, Leucothea, who was a victim of Jupiter's lust and Juno's jealousy. Myth, history and mistery are closely intertwined in this fascinating place. That vortex, according to a Roman historian, Aelianus (2nd-3rd cent. AD), caused the unexpected sinking of the 300 ships-strong fleet sent by Dionysos, tyrant of Syracuse (430-367 b.C.) against the city of Thurii, a catastrophe that occurred precisely in this section of the Gulf (named Sinus Thurinus), a short distance from the famously rich city of Sybaris. Is Ogygia, like Utopia, an island that never existed? 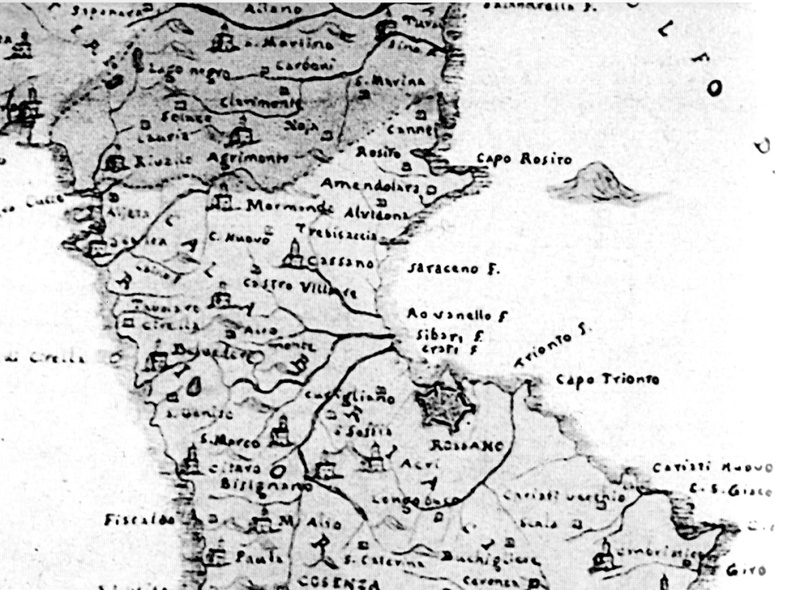 And yet, it appears on some 17th century maps, sometimes with this very name, in other cases under the name of Monte Sardo. In later maps Monte Sardo disappears. 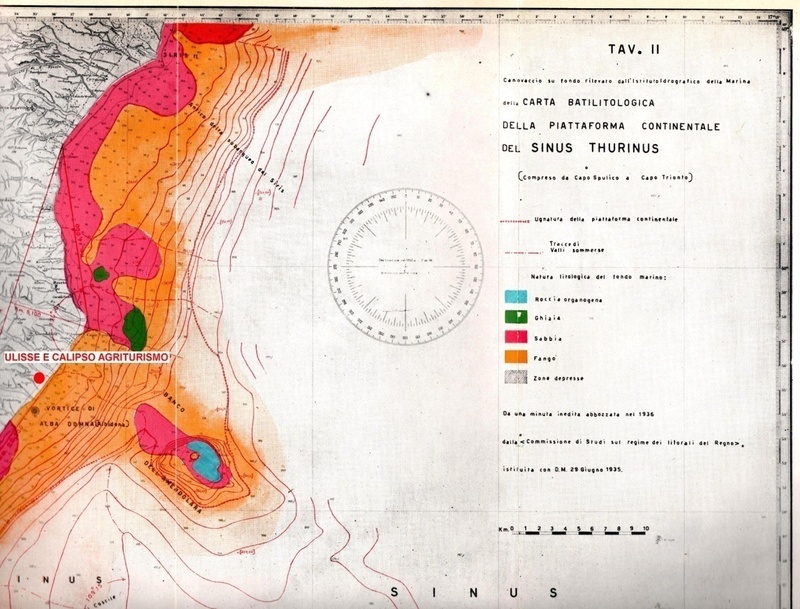 Could it have sunk in the sea between Amendolara and Trebisacce due to erosion and bradysism, as happened to the short-lived Ferdinandea island, which is historically documented? 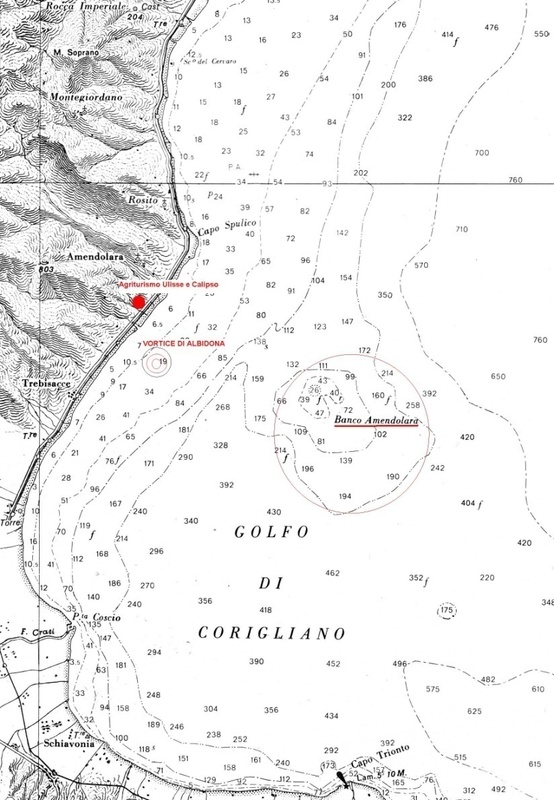 Fact is that a large offshore shoal, marked on nautical maps as the "Amendolara shallow", is to be found 11 miles off the coast, in front of our estate, which has therefore been named "Ulisse e Calipso". On this shallow sea-bottom an anchor of the type used in Syracuse in the 4th century b.C. was found, along with wooden wreckage. This leads us to believe that Calypso's island and Dionysos's fleet both lie on the seafloor not far from the vortex off the coast between Amendolara and Trebisacce. And nearby is the mouth of the Avena stream, formerly called "Acqua della Vena", according to legend the home of Leucothea, also called Ino. Leucothea was one of the many nymphs whose beauty had attracted Jupiter's attention. As she was devoted to Juno, however, she resisted the demands of the ruler of the Olympus. One day the latter got so enraged that he threw her into the sea. As she fell, she made an appeal to Juno, who transformed her into a wonderful underwater fountain. Legend has it that the nymph fell into the sea in front of the Albidona Tower (hence near the Acciardi estate). In actual fact, in the past there was at a short distance from the coast not only a vortex but also a freshwater source that sprang out of the sea; allegedly, passing ships used it to supply themselves with drinking water. This very Leucothea has been given by Homer, as we shall see, a role in the final phase of the voyage of Ulysses towards Ithaca. It is on Ogygia that Ulysses spends most of the ten years of his odyssee. But his desire to return to Ithaca eventually prevails and even Calypso's promise to make him immortal if he stays cannot make him change his mind. Upon Athena's insistence, Jupiter then asks Hermes to convey to Calypso his order to let Ulysses go, and to give him these directions: keep looking at Orion, and the Great Bear keep always on your left hand side. This seems to be a further proof of the location of Ogygia as assumed here. 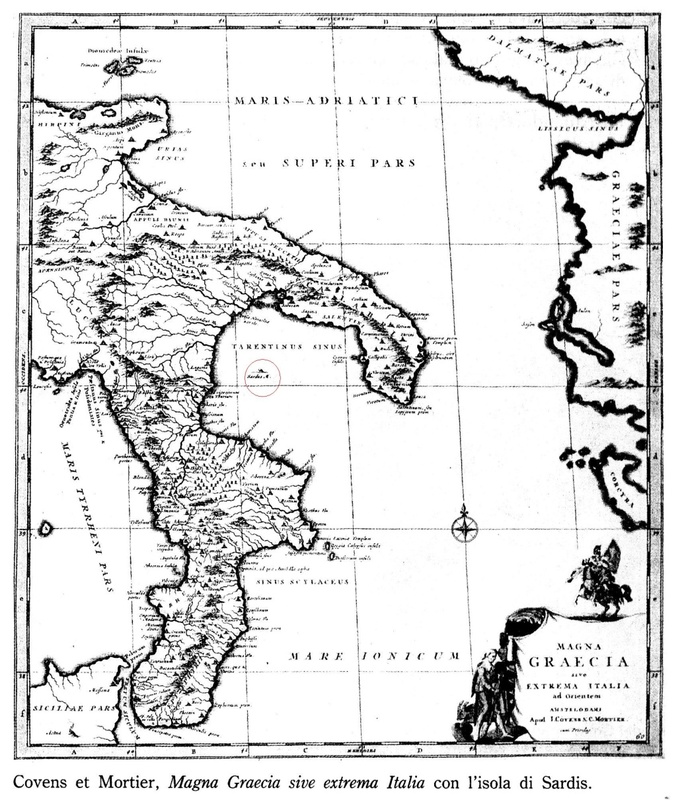 In fact, should we sail from the Amendolara Shallow towards the Ionian Islands, we would take this same eastward route as dictated by Calypso. And how does Leucothea get involved in this story? It is she who hastens to assist Ulysses when Poseidon unleashes a storm in order to prevent him from reaching Ithaca: she flies to him in the guise of a petrel, a seabird, advises him to get rid of the raft and of his clothes and gives him a magic veil that will save him.